Tiger is fast asleep. But -- oh dear! -- she's completely blocking the way. Just how will the animals get past without waking her up? Luckily, Frog has an excellent idea. Holding his balloon, he floats right over sleeping Tiger! Fox is next, followed by Tortoise, Mouse, and Stork, but it will be tricky for them all to get past without Tiger noticing. 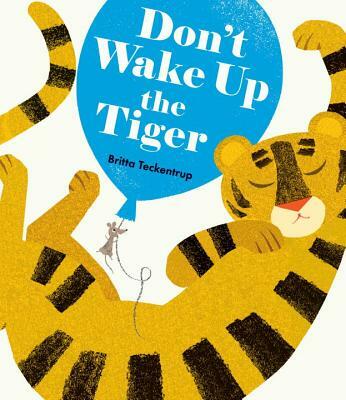 It's good that the reader is there to help keep Tiger asleep, but where exactly are the animals going with all those big shiny balloons?